Manufactured from Grade E1 melamine faced high density particle board. Polypropylene feet. The feet at the front of each unit have a height levelling mechanism built in. 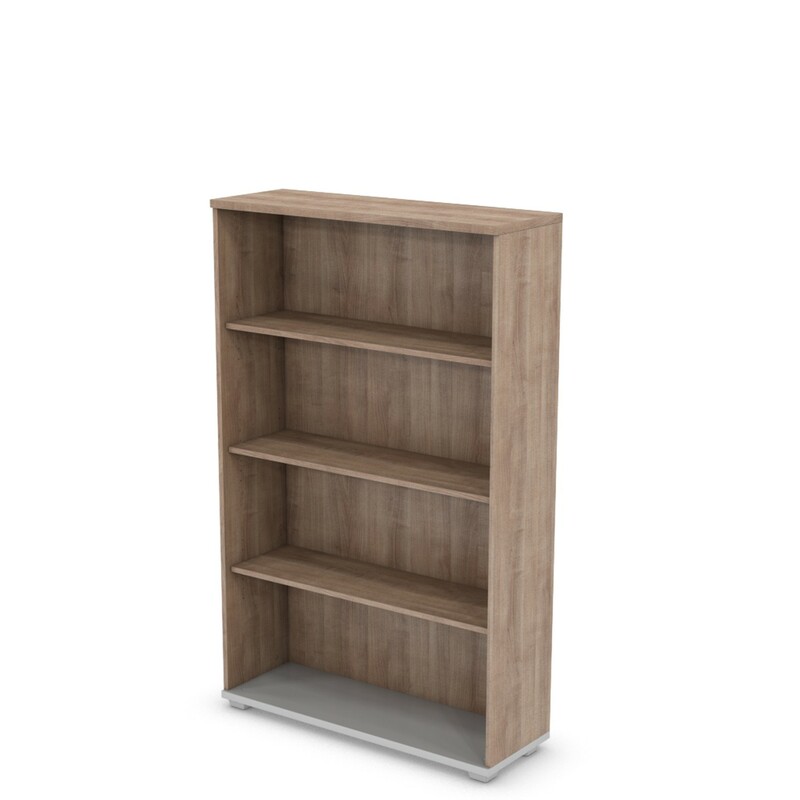 Shelves are provided with a bookcase as illustrated.